Elegant, beautiful, colourful and informative, The Amazing Animal Atlas explores interesting animals from across the world. Categorised by habitats and regions, you’ll learn about ebony bears and musk oxen from the Arctic, colossal squid and crocodile icefish from Antarctica, the northern pika and red panda from Asia and so much more. Animals from every continent are featured and there are pages dedicated to underwater creatures as well. Ecosystems are discussed, there a maps on every page and a handy index at the back allows you to quickly find your favourite critters. The book has been very well designed. The facts presented are also super interesting. They are easy to read and are very engaging for both kids and adults. The illustrations, by the talented Gaia Bordicchia, are just beautiful. Detailed and colourful, they provide an accurate visual of the amazing animals but have the right amount of fun and funky to be attractive to kids. The book is big, too (38cm by 28cm), allowing for visually stunning page spreads that sometimes fold out into amazing giant pages. And then there’s the special section at the back. Four very important pages about animals in crisis, why they’re in danger and what can be done to save them. I loved this part, and I think it’s great information for kids to have. 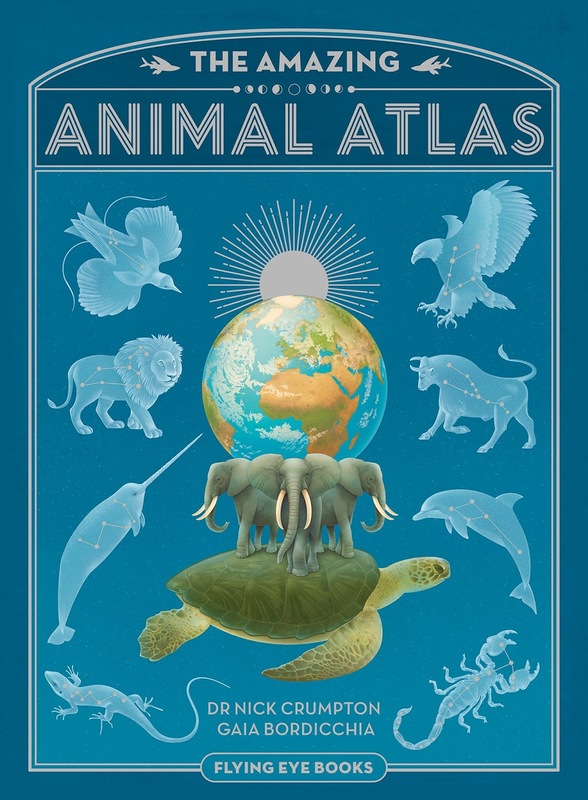 And if this excites you, you might also be interested to know The Amazing Animal Atlas has been produced in a eco-friendly manner, with forest-friendly paper (FSC assured) and vegetable based inks. The Amazing Animal Atlas would be a treasure is school and classroom libraries, a book kids would absolutely choose to take off the shelf. But it’s also a great one to have at home to help with school assignments or just for casual exploration and learning. It would make a fabulous gift. I highly recommend it!